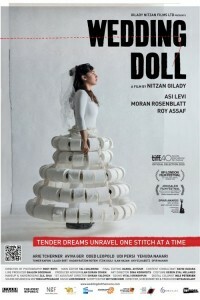 In the movie Wedding Doll, Hagit, a young woman with mild mental deficiency, works in a toilet-paper factory. She lives with her mother Sarah, a divorcée who gave up her life for her daughter. Hagit strives for independence and Sarah is torn between her desire to protect her, and her own will to live. When a relationship develops between her and the son of the factory owner, Hagit hides it from her mother. The announcement of the closing of the factory shakes Hagit and Sarah’s life and jeopardizes Hagit’s love story. In the movie Jane Got a Gun a woman asks her ex-lover for help in order to save her outlaw husband from a gang out to kill him. .